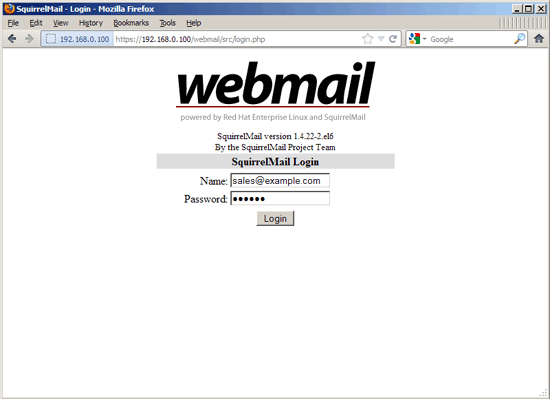 If you had an error like ERROR: Connection dropped by IMAP server when you log into you squirrelmail and you check on your email log you found something like this>>>> chdir example.com/sales/: No such file or directory server1 imapd: [email protected]: No such file or directory. DONT DO THIS >>> INSERT INTO `transport` (`domain`, `transport`) VALUES ('example.com', 'smtp:mail.example.com'); If you do that, your email will loopback by sending your email into your linux system user that used mailx for send the message. 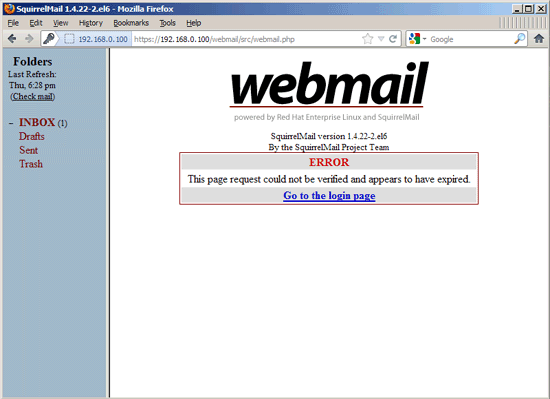 Your mail will be delivered to /var/spool/mail/your_user_name. 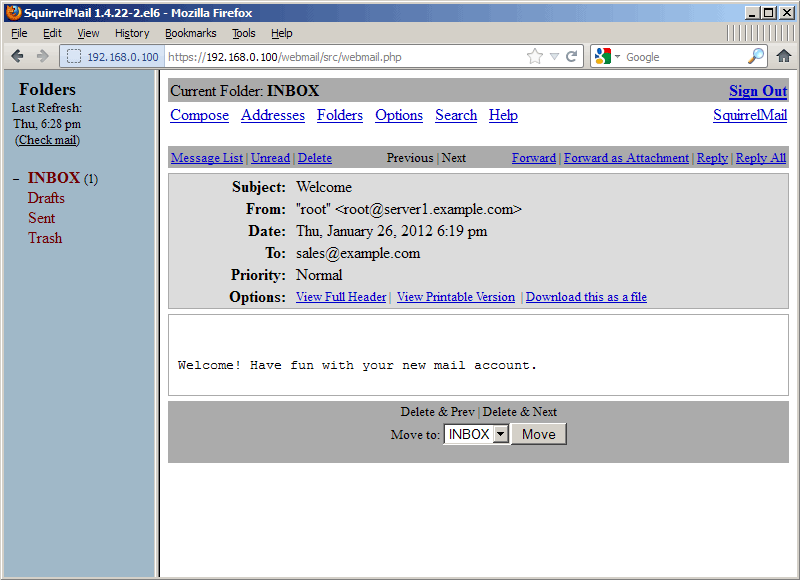 try to vi /var/spool/mail/your_user_name to check your mail that was looped back. The solution is DROP your 'transport' table values on your mail database. Then your mail server should be okay. 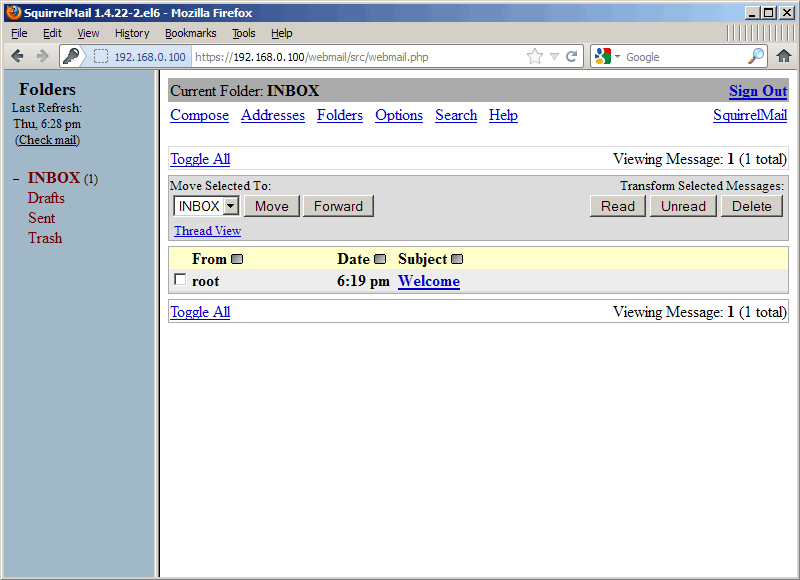 hi all, I followed all the tutorial regarding this postfix mail server configuration. Everything was going fine. 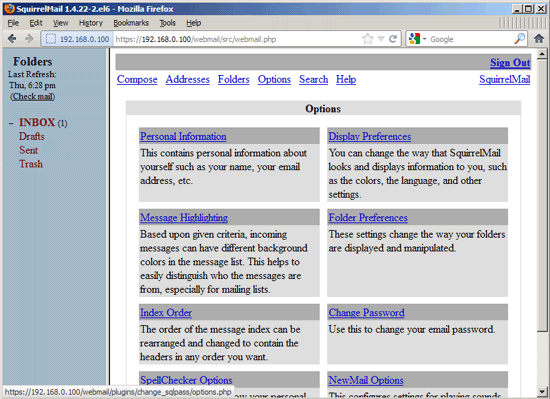 But at last when i logged into the squirrelmail page, previously there was error like "Error: Connection Drop by IMAP server" so, i drop the 'transport' table values. But now, when i logged into the squirrelmail, a blank page appear with no data. Please guys help me. I cannot find the solution. hi all, I have following this tutorial for mail server configuration. Everything was working fine.But finally when i logged in to the squirrel mail, previously there was error like "Error: Connection Drop by IMAP server" and i drop the 'transport' table values and again try to logged in to the squirrel, the IMAP error message is gone but there is no data on squirrel mail page. Guys please help. Dec 5 11:23:26 mail imapd: LOGOUT, [email protected], ip=[::ffff:127.0.0.1], headers=0, body=0, rcvd=30, sent=238, time=0 Dec 5 11:23:46 mail clamd: SelfCheck: Database status OK.
create the directory example.com in "/home/vmail"
The Mailbox gets xreated automatically by postfix when the first email arrives. Thats why the guide contains instructions to send a mail to the Mailbox first before you use it. Are there any plans to do a CentOS 7.x version of this tutorial? 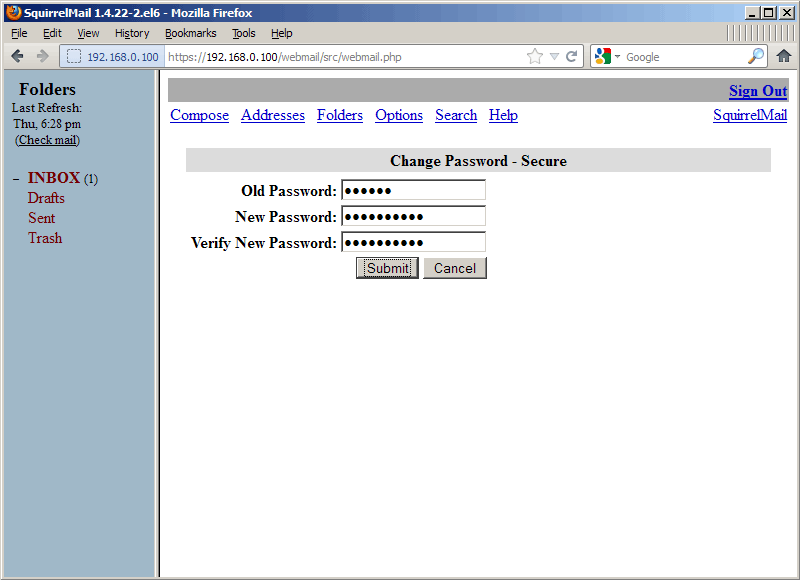 I've been running the CentOS 5 version for years (thank you for that!!) and its time to do an upgrade and migrate everything, but with Centos 6 EOL only 2 years away it would be amazing to get a Centos 7 version so we don't have to worry about this again until 2024.